Jetsurf Mexico’s Ale Rivas was the first rider on the track to try her best within two laps. The Mexican racer performed well, a fast ride with 50:42 seconds on the finish line. She was leading the pack until Czech rider Aneta Šacherová joined her. The Factory Team rider pushed under fifty seconds per lap and 49.75 which meant the second consecutive pole position for Šacherová. 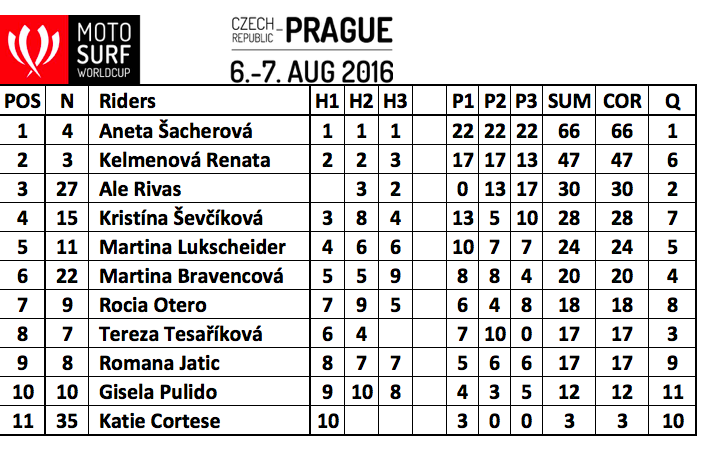 Top three was completed by Aneta’s compatriot Tereza Tesaríková. Slovakian race winner Lukáš Záhorský rode the fastest lap of 55.38 and led the men’s qualifying standing. Championship leader Jakub Kornfeil left the spectators speechless. His 53.63 remained undefeated and the well known number 84 concluded the qualifying session setting the pace. The fight for 3rd place was on! It was occupied by Ivo Strouhal who was relegated by 2015 multiple podium finisher Michal Lošták and his 56.93. Jetsurf founder Martin Šula was another guy to change the current positions. Šula’s 56.67 was enough to overtake Lošták and took current third. However, Martin Šula didn’t stay inside the top three for long. Jetsurf Prague Club’s Jan Charouz lapped around the circuit within 56.48 and completed the top three positions. 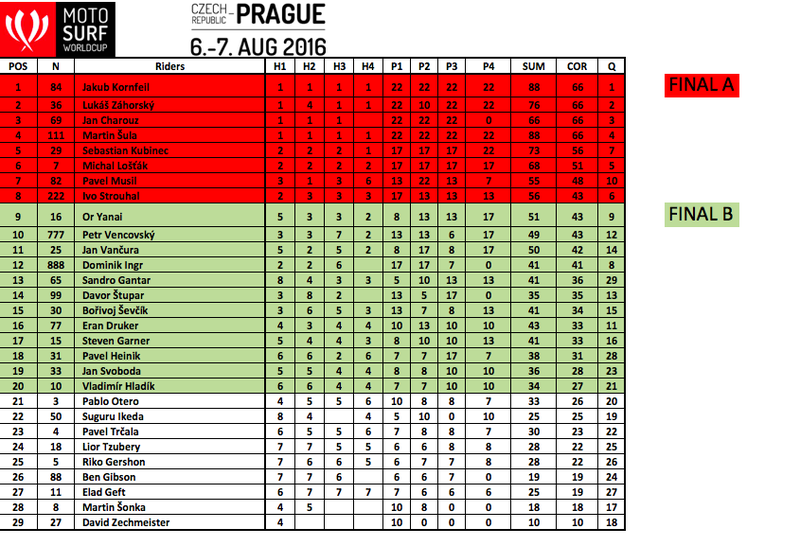 Jakub Kornfeil, Martin Šula and Jan Charouz dominated their heat groups scoring the victories in all of their rounds. 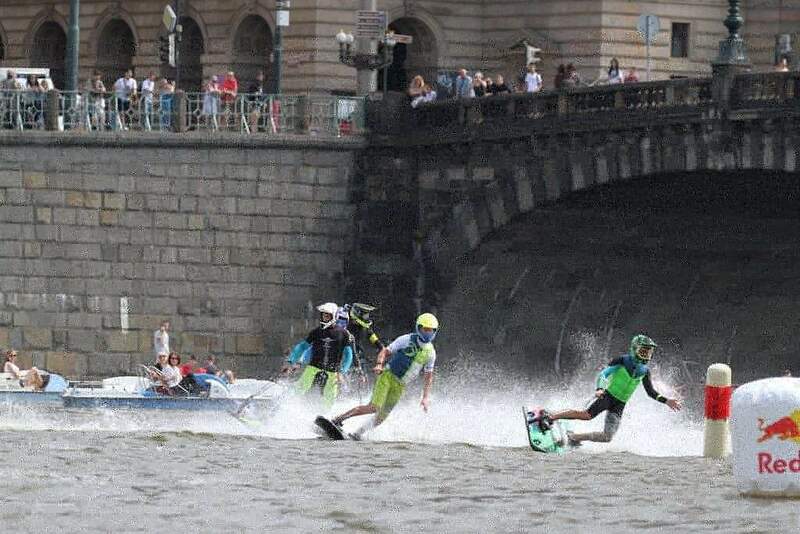 Group D became very interesting because of a battle between Slovakian winner Lukáš Záhorský and Prague Jetsurf Club’s rider Jan Vancura. Záhorský who was the more successful in the end and finishes 4th after the heat rounds whilst Vancura concluded Saturday’s program in 11th due to two 5th places in heats. Having Kornfeil, Šula and Charouz tied on points, the spots for tomorrow’s race start will be decided according to qualifying results. So it’s Jakub Kornfeil on the top followed by the second fastest from the qualifying Lukáš Záhorský and third Jan Charouz. Martin Šula stays fourth despite 4 heats victories. Sebastian Kubinec from Slovakia is 5th in front of Michal Lošták. Pavel Musil joins the Final A directly from 7th having won second heat of his group and the last rider who goes straightly to the final round is Ivo Strouhal. 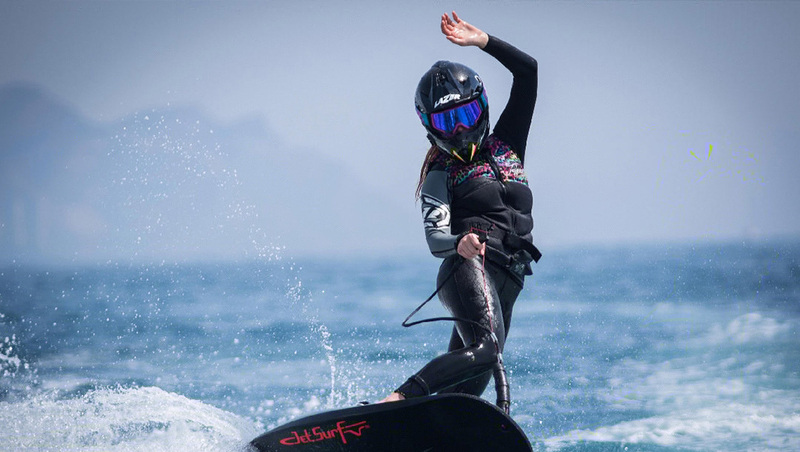 The Final A line up will be completed by top four riders from Final B.
Jetsurf factory rider Aneta Šacherová showed her dominance once again and finished 1st in all the heats so there is no doubt she will start from the pole today. Second position was taken by Renata Kelmanová from Slovakia who continues in a solid pace from her home round. Winner of Mexican round Ale Rivas concluded the heats in 3rd overally from Kristína Ševcíková and Martina Lukscheider. 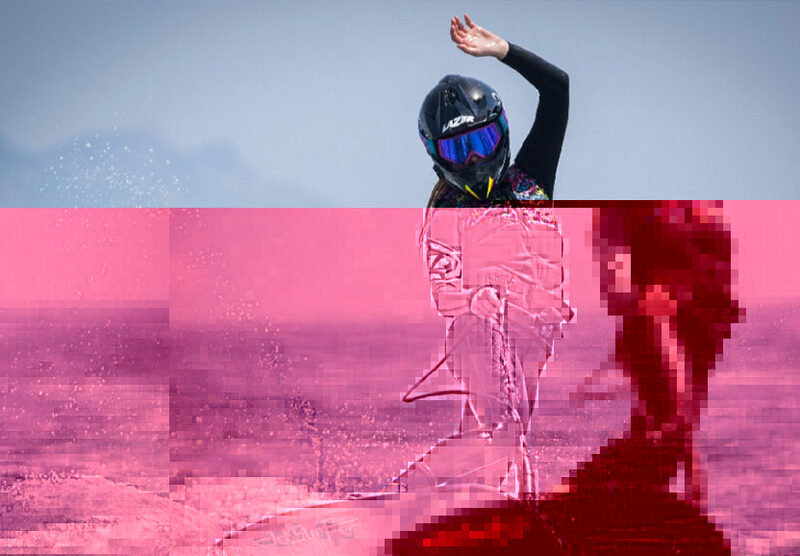 Wild card rider and a 10 times kite surfing World Champion Gisela Pulido finished 10th.